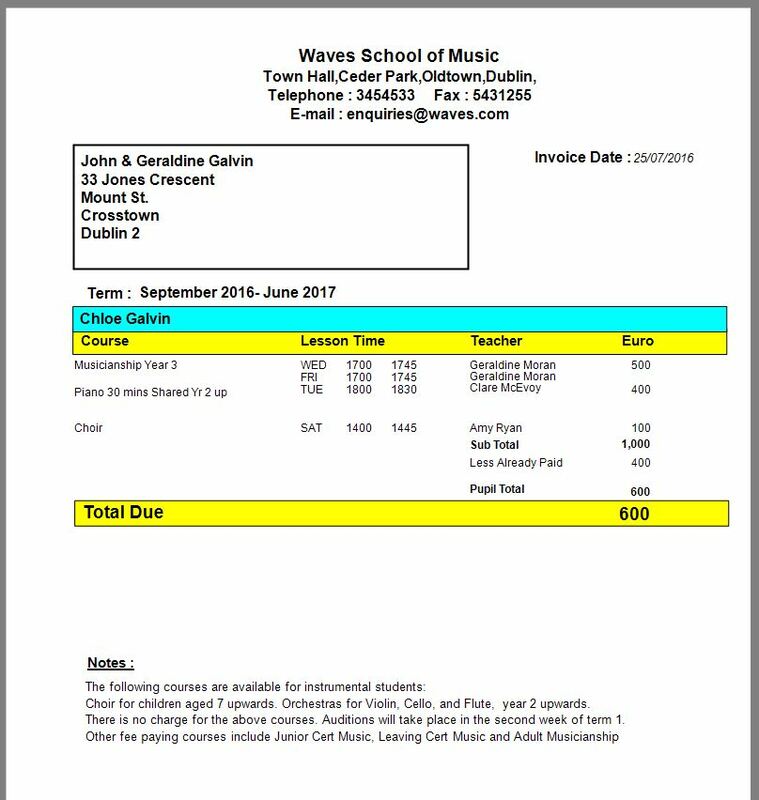 This screen enables you to keep track of all the details relating to the pupils in your Music School. 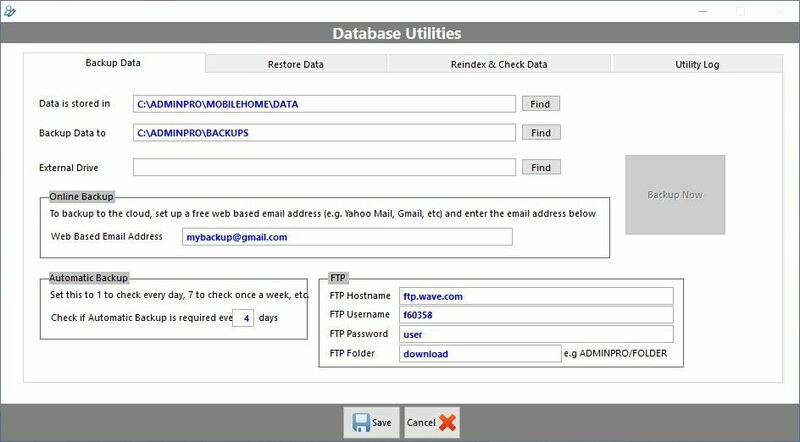 The information can be easily imported from a spreadsheet of pupil details that you already have so you may not have to enter all that information again. Once in the system the information can be easily retrieved and edited. Store all details about exam results and assessments for the pupils. Keep unlimited notes on the pupils. 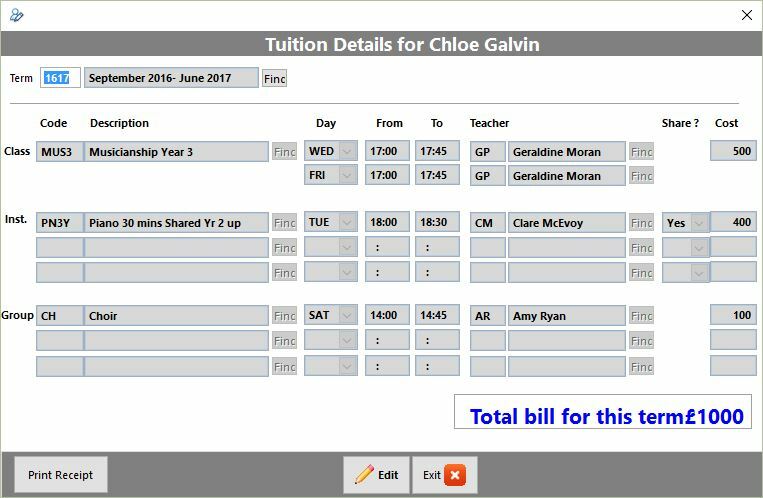 Clicking on the Tuition button on the Pupil screen shows the details of all the classes, instrument and group lessons that the pupils account. Keep track of the days, teachers, costs of the classes. 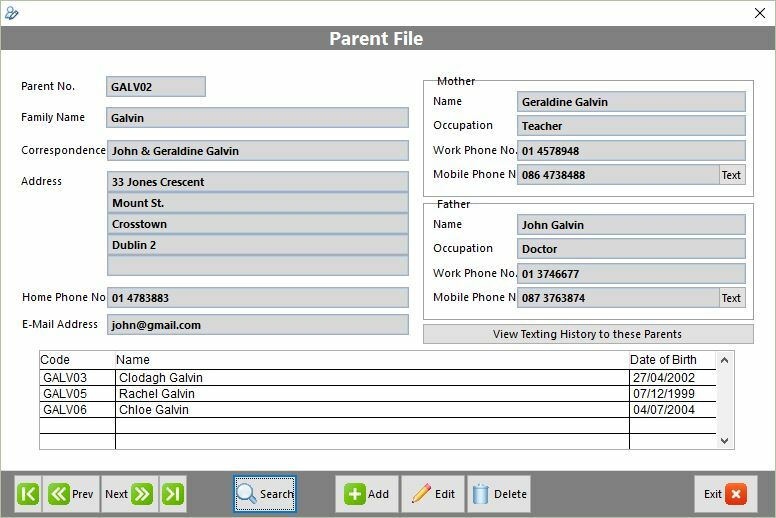 You can print receipts/statements from this screen for the parents. 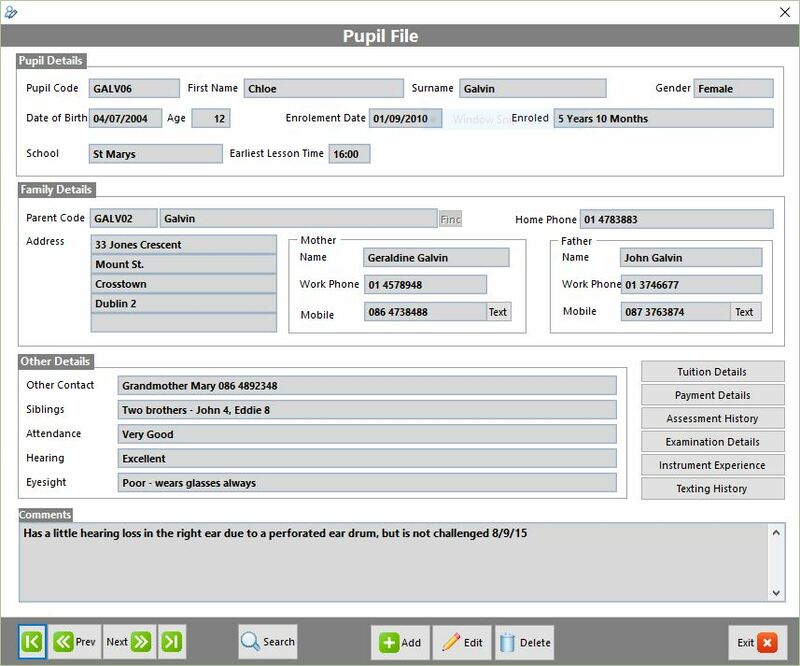 Clicking on the Payment button on the Pupil screen shows the details of any payments that have been paid by pupils. Payments can be entered for a pupil or for a family. Store details of all parents of the pupils. Text Message the parents directly from this screen and keep a history of all text messages sent. 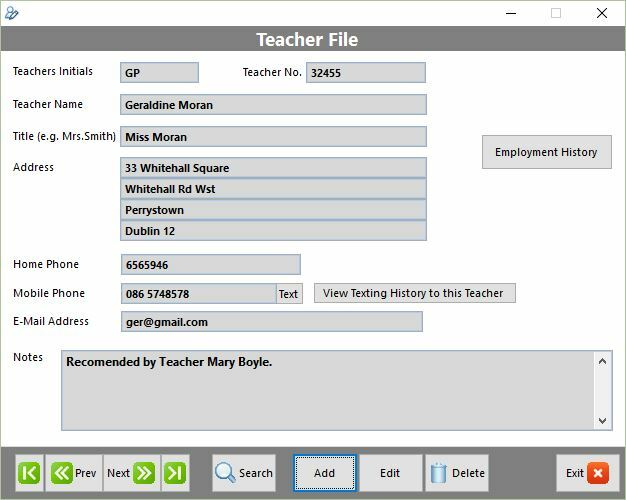 Store details of all teachers at your Music School. 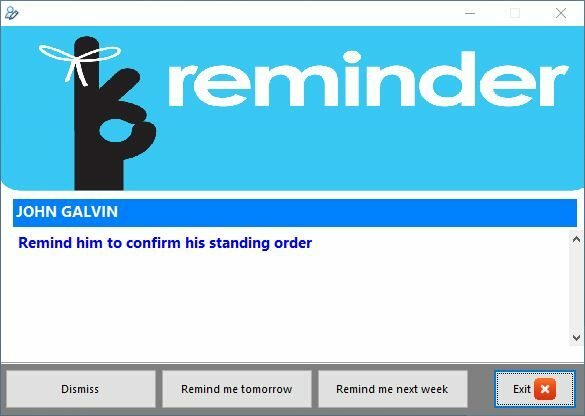 Send Text Messages to the teachers directly from this screen and keep a history of all text messages sent. Keep unlimited notes for the teachers. You can set up reminders on pupil’s accounts. These can be once-off reminders or monthly or yearly reminders. 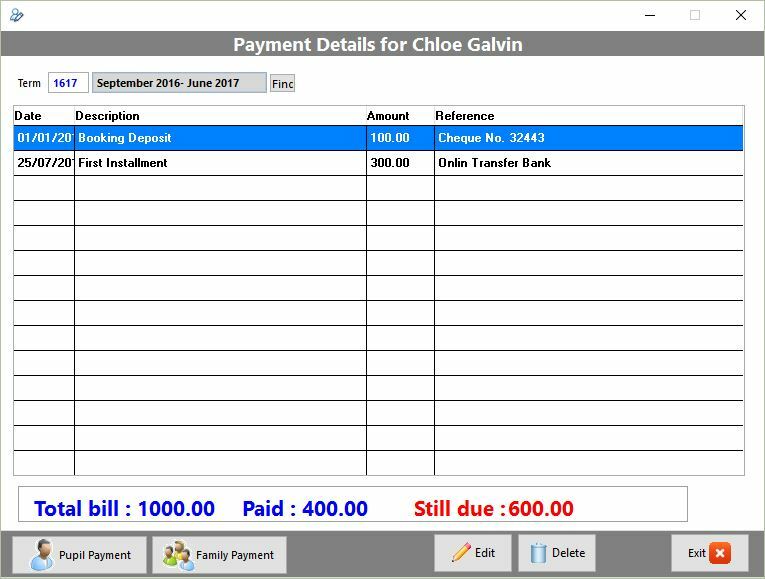 Produce stylish customised Invoices and Statements from the system with your own logo and layout. We can help you design the perfect statement. Your statement needs to convey a professional image of your music school and clearly communicate payment details to your customers. By clicking the Text button next to a mobile phone number, you can type in a text message that will be sent to the parents of the pupil. You can create templates of the most frequently used messages. These can then be used quickly so you will not need to retype messages over and over. 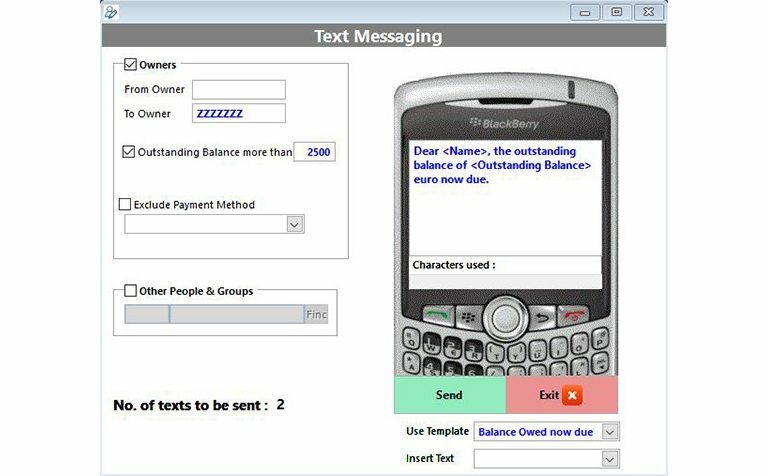 Powerful group text messaging functionality allows you to send texts to all pupils or subsets of pupils at the touch of a button. For example, you may want to send a text message reminder to all parents that still owe a certain amount. Templates allow you to personalise each text with names and outstanding balances. You can set up reusable Templates for your most used messages to save repeated typing.